So first of all let’s look at Google chrome. Open up the browser and press the “CTRL+SHIFT+DELETE” key on the keyboard. 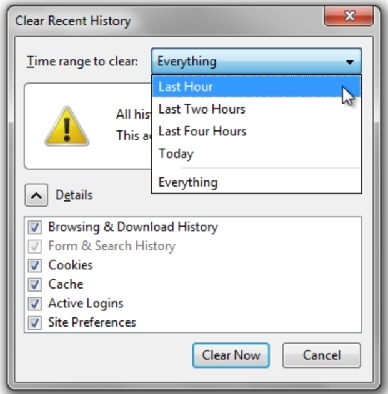 The “Clear Browsing Data” window would automatically appear. Make sure you have ticked the check box titled “Empty the Cache”. With that done you can click on the “Clear Browsing Data” button. Similarly open up internet explorer and press the same “CTRL+SHIFT+DELETE” key on your keyboard. 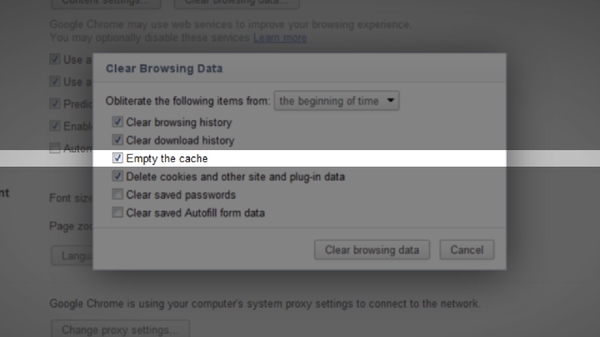 A new window would pop up and all you have to do is click on the “Delete” button to clear the browsers cache. Now we move on to Mozilla Firefox. Click the “CTRL+SHIFT+DELETE” key to open up the “Clear Recent History” window. Make sure the check box titled “Cache” is selected. Now simply click on the “Clear Now” button. 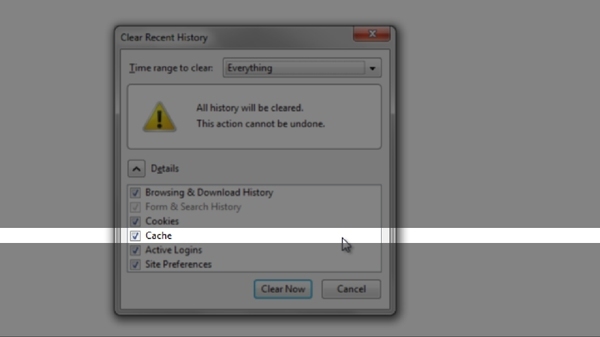 You can select the time range for which the cache needs to be deleted. Just choose the time frame from the drop down menu. This option is also available in Google Chrome.